First created by Glasgow merchant Robert McNish in 1863, the proud blending tradition of Grand Macnish, that so captivated Ernest Hemingway, continues with this unique batch numbered, limited edition range of double matured blended Scotch whisky. Double Matured means that this whisky has first matured in bourbon barrels before being finished in rich sherry casks the last months. The Grand Macnish Double Matured series is strictly a batch bottled series and as such a Limited Edition bottling. Future batches will be similar but will not be exactly the same. The Rum Cask Edition will continue with more batches, but these will vary slightly in style as rum barrels from other countries will be explored. 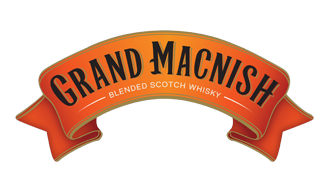 The Grand Macnish Double Matured series is distilled, matured, blended, finished and bottled in Scotland at 43% abv (86 proof). USA is the first country to launch the series with the first batch consisting of only 5400 bottles. Nose: Gentle vanilla and toffee notes mingle elegantly with tropical fruits and exotic sweetness on a layer of malty maturity. Palate: Delivering instantly with initial sweetness followed by a warming maturity and balanced between fine oak and ripe fruits. Finish: Lingering, spicy and elegant.